When will I get my order? : Blankets leave the warehouse within 2-3 business days after placing your order. Click here to calculate shipping timing from IL. There are also warehouses in CA and NJ, so contact us for info to save time and shipping costs if you happen to live on either coast. 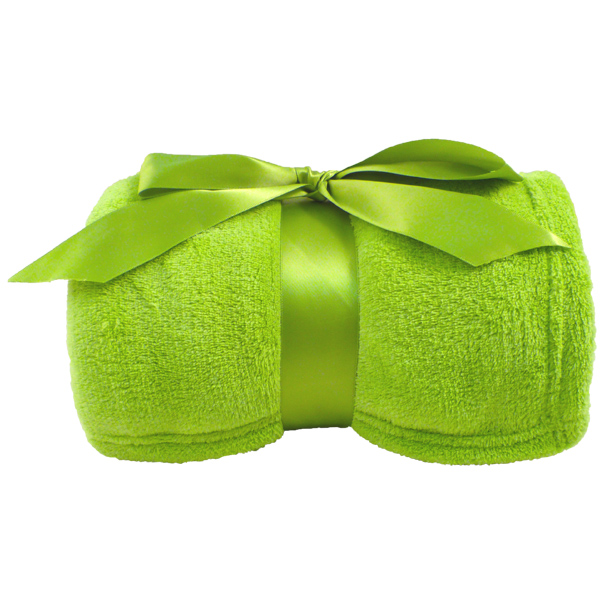 Who wouldn't want to be wrapped in these soft plush blankets? Offered in a variety of bright colors, each measures 42” x 60”. A 15.25 oz. fabric weight make for a nice light weight but warm cover. 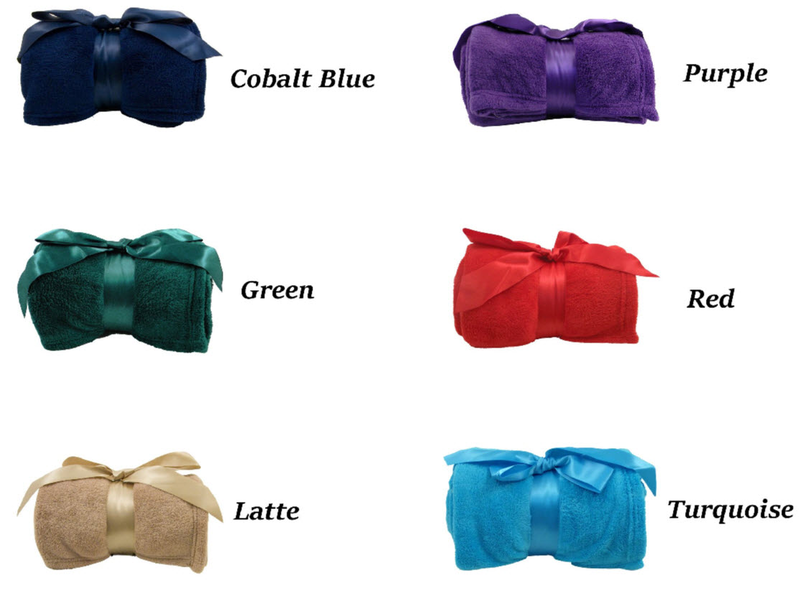 Blankets are each tied with a satin ribbon making for a beautiful presentation. Great for Sweet 16 parties, Bar and Bat Mitzvahs, winter weddings, and any event where you want your guests to feel warm and loved. 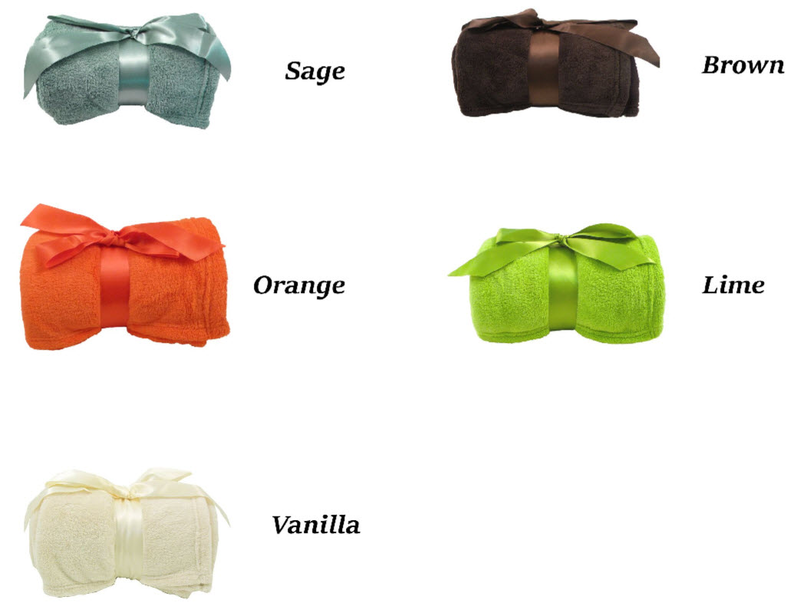 While the blanket company we use is in Illinois, they also have offices in California and New Jersey. So if you need them right away, please let us know your deadline.